The Houston Texas City Council voted on June 24 to appoint Anthony Graves (pdf) to the board of the Houston Forensic Science Center, NBC News reports. Graves, 49, is capturing headlines because he spent 18 years in prison—most of that time on death row—before his murder conviction was overturned in 2010. He has the full support of Houston Mayor Annise Parker, who submitted his nomination to serve on the nine-member board that replaced the scandalous Houston Crime Lab. 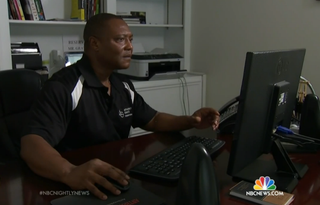 “Because I was wrongfully convicted and I know how the system failed, this appointment allows me to bring a fresh perspective to the board, because I can tell you about the pitfalls,” Graves told NBC News. A now-disgraced district attorney prosecuted Graves for participating in the killing of six members of the same family, including four children. Graves always insisted that he was innocent. During his time on death row, Texas issued two execution dates during his legal battle. A breakthrough came when his co-defendant admitted—right before his own execution—that he lied about Graves’ involvement. Nevertheless, the state wanted to retry the case against Graves, which ultimately fell apart and ended in his release. On June 12 the State Bar of Texas stripped former District Attorney Charles Sebesta of his law license. The panel determined that he withheld evidence and used false testimony to convict Graves. Graves is now one of nine board members who oversee the Houston Forensic Science Center, which replaced the Houston Police Department’s crime lab in April 2014. The crime lab was entangled in controversy stemming from an investigation that uncovered evidence of a technician lying and tampering with evidence. Graves will sit on the board with newly appointed Chairwoman Nicole Casarez. Poignantly, she’s the attorney and journalism professor who spent several years investigating Graves’ case and contributed to his ultimate exoneration.